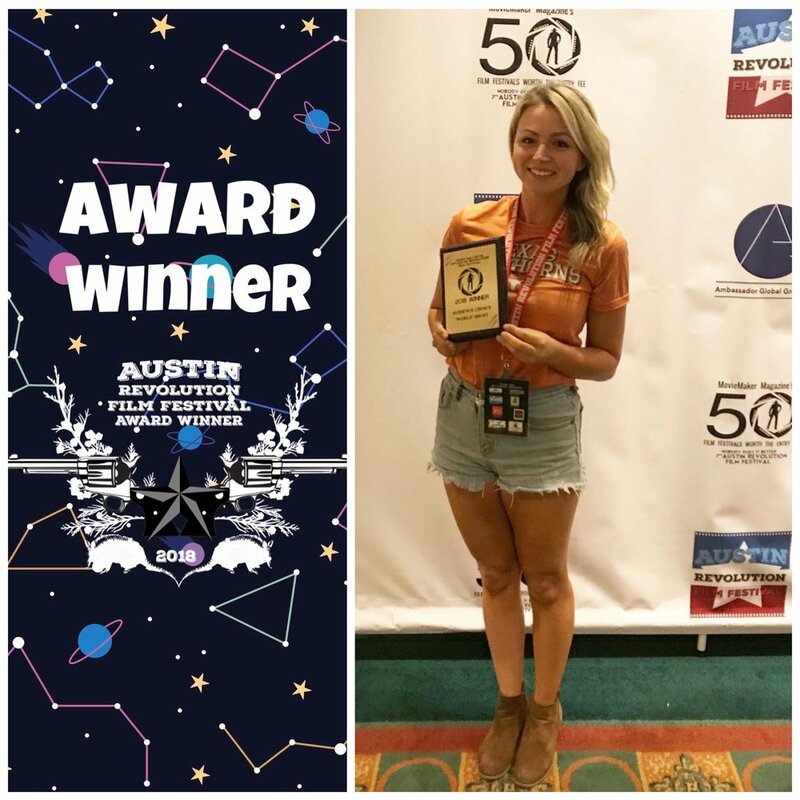 Cool Girls wins Audience Choice for Best International Short at the 2018 Austin Revolution Film Festival on September 22nd! Cool Girls is reviewed by Kierston Drier! "What is most enjoyable about this comedy, is the character-chemistry that carries the show. The antics are just slightly over the top for the modern millennial and the result is like looking into a funhouse-mirror version of a 20-somethings Instagram account." Both Sarah and Laura are nominated for Best Series Actress for their roles as Amber and Terri, at the upcoming Austin Revolution Film Festival! More nominations to be announced soon! Check out all award nominations here! "We wanted to make something, but we didn't want to wait around for permission to do it." Laura and Sarah are interviewed after winning Best Series at the FEEDBACK Film Fest's June edition. Check out the interview here ! Cool Girls wins Best Series at the FEEDBACK Film Festival! Cool Girls wins Audience choice for Best Series, Best Performance and Best Cinematography at the 2018 June Feedback Film Festival in Toronto. Official Selection for the Austin Revolution Film Festival! Cool Girls has been selected for the 2018 Austin Revolution Film Festival, held in Austin Texas from September 18th-22nd. Cool Girls will be screening on Friday, September 21st between 1:00 and 3:30 pm. Cool Girls Screens at the SheDot Short Film Festival! Cool Girls is selected for the 2018 SheDot Short Film Festival, screening in Toronto on Saturday, May 5th, at Comedy Bar. Cool Girls is selected for WildSound's Web Series FEEDBACK Film Festival. Episode 201 will be screening at the Carleton Cinemas in Toronto on June 18th, 2018, at 7:00pm. Laura and Sarah are featured in Toronto Life and Flare Magazine as part of Natalia Dolan's photography initiative, "The Girl Friends Project". The project highlights and celebrates female friendships across Toronto. Cool Girls is Nominated for Best Web Series at the 2018 Canada Independent Film Festival in Montreal Qc, held in January 2018. "Cool Girls Gears up for Season Two"
Cool Girls featured in The Walleye, Thunder Bay's Arts and Culture Magazine.